When we think of Sicily, the first thing that pops in our mind is an image of the sea lashing against the shore: then, just like in front of a colorful mosaic, we start to install the tiles of its thousand-year old history, of its dark and barren land, of the smells from its local gastronomy and orchards. And yet, walking through the island, you can easily bump into little havens of rest, the Sicilian gardens, where plants and flowers seduce us through their perfumes and colors: these vegetal worlds created by man, often having a centuries-old history, are as good as real nature, and talk to us about a Sicily that love beauty and harmony and that maybe we don’t expect. Together with the town’s Baroque monuments and buildings, the Giardino Ibleo is a distinctive feature of Ragusa’s history. The villa, to which this garden belongs, was built around 1858, at the express wish of local aristocrats and thanks to the city’s population who worked for free for that purpose. Built on a rocky spur overlooking the Irminio river valley, it occupies an area of 3,9 acres and has a perimeter of 1,968 feet. Greeting you at the entrance, there is a palm tree-lined avenue that is adorned with vases and carved benches, and that used to be reserved for horse-drawn vehicles, in the past. In the middle of the villa there is a World War I memorial, and farther inside we can find the Church of Saint Vincenzo Ferreri, the Church of Saint Giacomo and the Church of the Cappuccini. In the Giardino Ibleo we can identify three different areas that correspond to the different phases of construction: the original area, which leads us to the Church of the Cappuccini and includes the palm tree-lined avenue mentioned above, is the most prestigious one because it features plants from the whole Mediterranean flora; the second area, right after the Church of the Cappuccini, has a severely formal style, typical of the early 1900s, except for a little hill that features a late Romantic style garden; and then we find the Boschetto della Rimembranza (“The Memory Grove”), which has a pine grove inside. 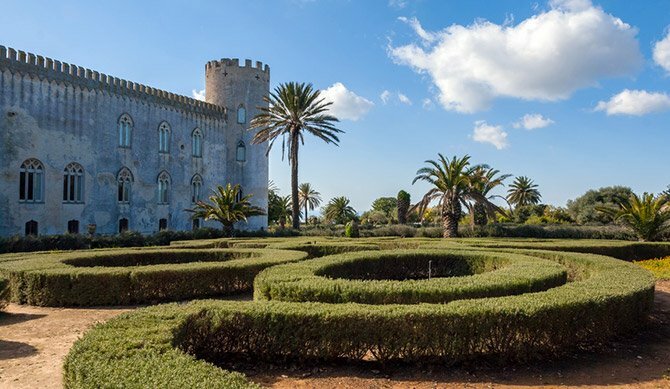 Surrounding the 1800’s castle, there is a large park of 8 hectares, which is one of the most prestigious historical gardens in Sicily. The park is divided into three distinctive areas: the English Garden, the French Garden and the Mediterranean Garden, featuring many species of plants. Corrado Arezzo, its eccentric owner, made it even more unique by placing bizarre and original elements inside of it: walking through the streets of the park, you can bump into a labyrinth, into a coffee house that looks like a small Greek temple, and even into a fake cave with fake stalactites. 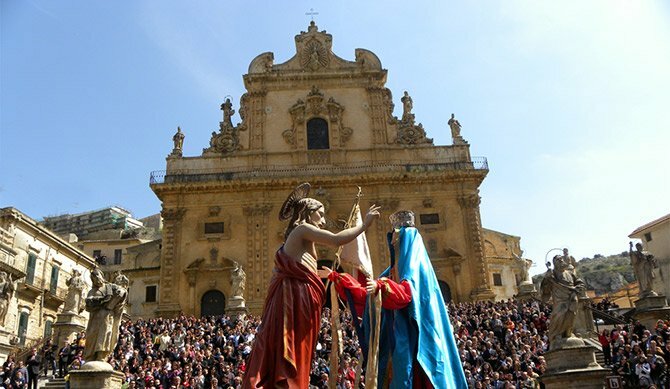 Ragusa can really surprise all the travelers, by offering them a lot of different emotional travel experiences: do not miss this great opportunity and, if you decide to stay at Edel, do not forget to dedicate at least one day to these amazing havens of rest.